18k gold set with a pigeon blood oval-cut ruby, surrounded by glowing pear-shaped diamonds, and completed with pave rubies. 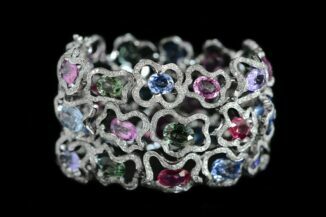 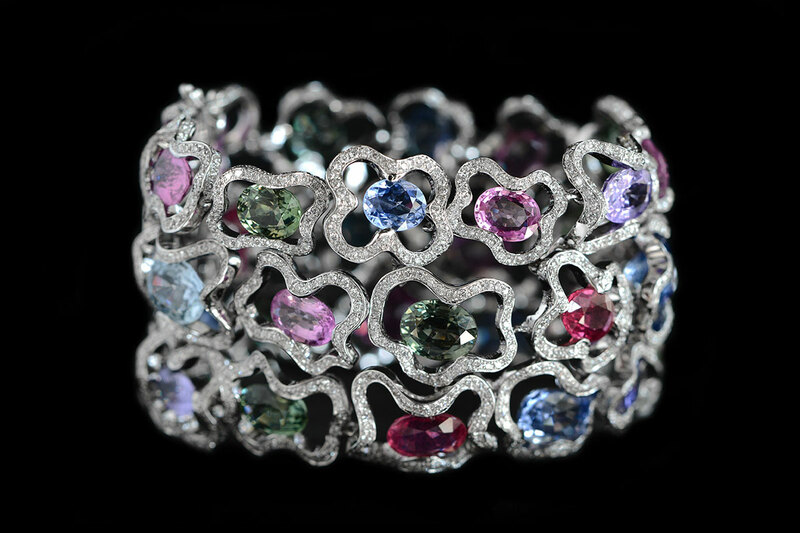 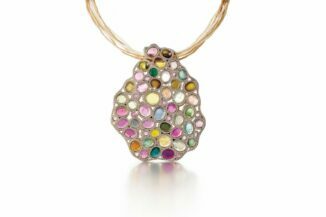 18k gold set with multicolored natural sapphires, each surrounded by its own pave diamonds. 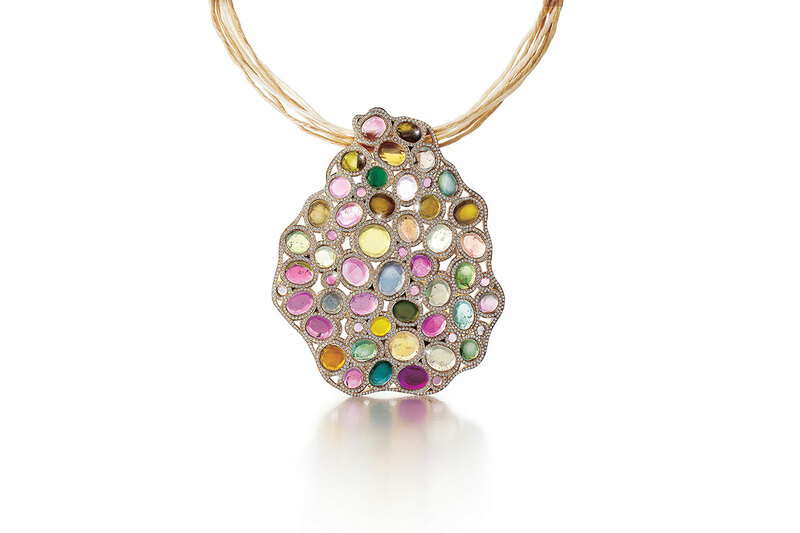 18k gold set with multicolored windowpane-cut tourmalines and pave diamonds, on a raffia cord. 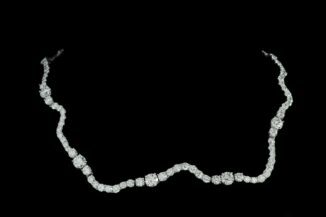 18k gold set with larger diamonds and a micro pave thread of smaller diamonds, designed in an undulating lively shape. 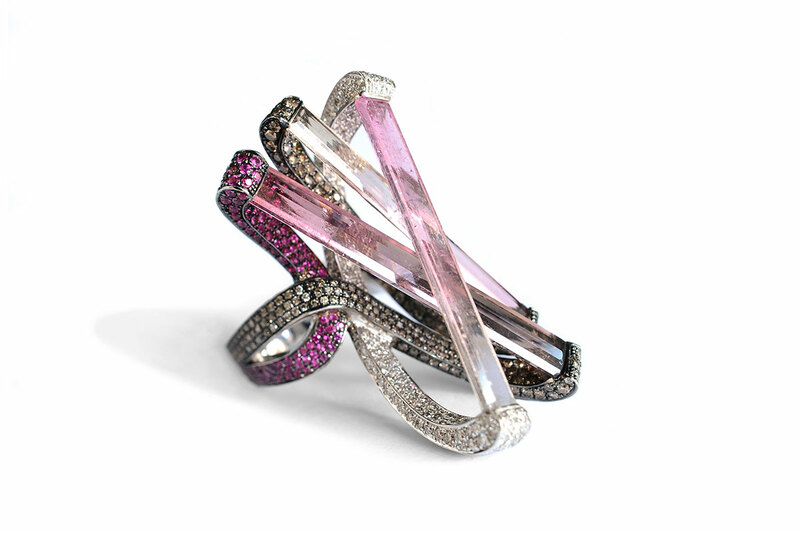 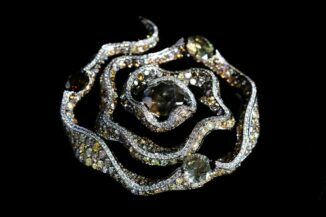 18k gold designed with superposing bicolor tourmaline, joined together by a set of pave sapphires and diamonds. 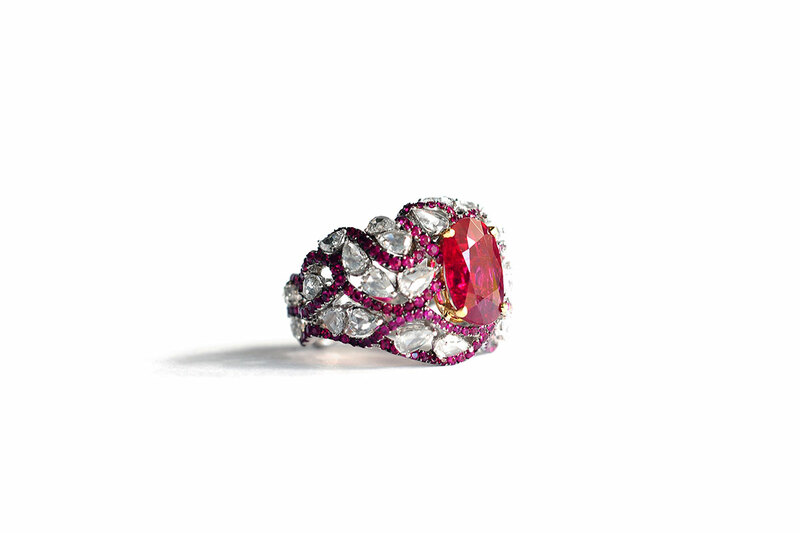 18k gold set with four fiery diamonds and complemented with an intertwining pave of white and multicolored diamonds.